Posh Pooches are a dog grooming company based in Peterborough. The owner, Brooke, came to us requiring a website redesign which would allow her to advertise her business effectively. 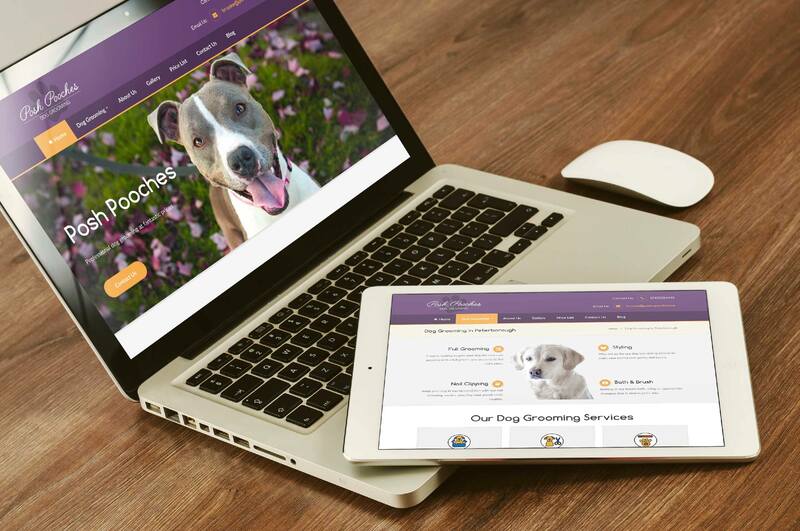 Our team began the project quickly, developing a website using WordPress that would meet all of Posh Pooches current needs and provide a platform that can easily be redeveloped at a later date if more functionality is required. Our designers carefully chose a colour scheme based upon Posh Pooches previous website, ensuring brand colours were incorporated consistently throughout, providing an aesthetically pleasing, professional look.